Most of the time, you don’t have a choice when booking a long-haul flight for your family. Often, only one airline flies to the place you want to go; or you simply have to opt for the cheapest carrier (as even that is probably too expensive!). 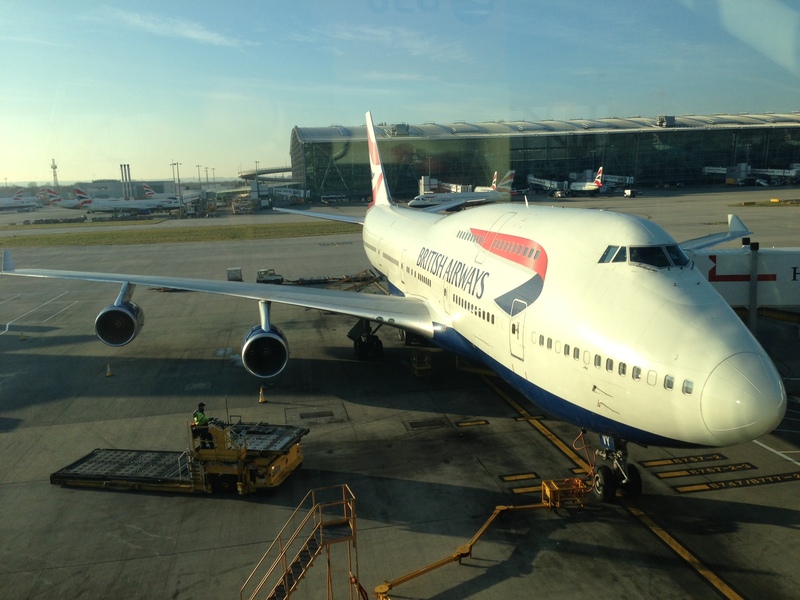 However, there will be routes – particularly transatlantic ones between London and the US/Caribbean– where you do get to choose between the ‘big two’, British Airways and Virgin Atlantic. Fiercely competitive, they are often very closely matched on price and have similar schedules. However, there are instances when it might be worth paying a bit more to fly one or the other. We recently flew Virgin Atlantic for the first time as a family, to Barbados, having gone long-haul exclusively with British Airways for four years. Here’s why, and how we’d compare the two. When travelling with a baby, both airlines offer cots which attach to bassinets. You reserve these when you book and you are then guaranteed a bulkhead seat for yourself – great if you have long legs like me. Both airlines will also warm baby milk for you; and on both, infants pay 10% of the adult fare. So not a lot to choose between at this stage. The big difference comes when your child exceeds 9kg (generally between 6 -12 months). On Virgin, this can be bad news. No longer are you offered a bassinet with a sky cot (except on certain A330 and A340- aircraft, where the weight limit is increased 11kg); you have to have the baby on your lap, or else buy them a separate seat (and use a booster seat that Virgin will provide free of charge). Not only is a baby-on-your-lap for 8 or more hours fairly intolerable (I’ve done it short-haul and it’s painful), it also means you loose out on the bulkhead row, meaning less leg room for Mum and Dad. British Airways, on the other hand, will let children travel in a child seat that attaches to the bassinet up to the age of two (or 13kg). They will also allocate your seats at booking, which is a real bonus, guaranteeing you the bulkhead row (extra legroom for Mum and Dad) and removing the stress of seat allocation at check-in (or the cost of reserving your seats in advance). Hardly any airlines seem to offer this set-up for under 2s, so I lay my hat down to BA – we’ve flown long haul with them purely because of this policy. A further advantage of BA is the way their frequent flyer programme works. The great thing about Executive Club for families is that, so long as a seat is paid for a child, the child can accrue points. These can then can be added to a household account if you wish. Leo has had an Executive Club account since the age of two and has contributed a healthy amount of miles that Mum and Dad plan to use on a trip to New York one day! Virgin offer no such deal: children cannot open an account and do not earn miles. It’s when it comes to the overall ‘experience’ that I think Virgin steals a lead over British Airways. It was really noticeable on our recent flight to Barbados just how much more family-focused they are. The free kids pack was better quality and had more in it than the ones we’ve had from BA. Virgin gives you ice creams on the flight – a major win with kids. The food was generally better (although we did have an issue with ordering kids meals). In-flight entertainment was great, with a much more comprehensive selection of movies and TV programmes, and a dedicated kids channel. Finally, if you do go on holiday to the Caribbean, in selected hotels Virgin offers a ‘check in and chill out’ service, allowing you to check your suitcases in at your hotel and head straight through security when you get to the airport, maximizing your time at the pool. Given the small size of most Caribbean airports, and the fact that all flights leave the Caribbean in the evenings, this is an inspired idea. If you have a child aged 9 months – 2 years, then there’s no contest. BA wins every time. However, once your brood are above the age of 2, I’d err towards Virgin for the experience – unless you fly pretty frequently, in which case the ability for the whole family to rack up points on BA becomes a decider. Happy flying! This entry was posted in Tips & ideas and tagged flying with BA and kids, flying with kids, flying with Virgin, long-haul flights with kids, Virgin or BA. Bookmark the permalink.